Tesla's no longer allowing drivers some leeway in setting speed limits with the company's semi-autonomous Autopilot system. A general rule of the road is that as long as you only go about 5 miles over the speed limit there’s little chance you’ll end up getting a speeding ticket. 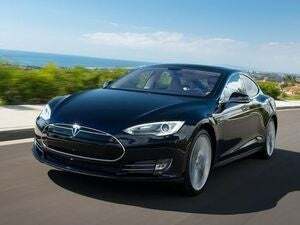 Sticking to that driving convention, Tesla allows drivers to set their car’s Autopilot feature to hum along slightly faster than the posted speed limit in certain situations. But that’s ending, as Electrek recently discovered. Tesla confirmed that it's rolling out an update to stop autopilot from exceeding the speed limit. Prior to this update, drivers could use Autopilot’s cruise control feature to go travel at 5 mph over the posted speed on roads and non-divided highways, according to Electrek. Autopilot has a hard upper speed limit of 90 mph. Tesla’s new speed limit enforcement appears to be an additional safety measure for the company’s semi-autonomous Autopilot system. The story behind the story: The new safety features are also coming out just as the company is hard at work laying the groundwork for fully autonomous cars. Hardware introduced with newer Model S and Model X cars (and the upcoming Model 3) will supposedly be capable of self-driving in the future. Musk has set the ambitious goal of demonstrating Tesla’s self-driving chops with a fully autonomous road trip from Los Angeles to New York by the end of 2017. Before that can happen, however, the newer system first has to reach feature parity with older versions of Autopilot. That is expected to come with an over-the-air update that could roll out by the end of December, Musk said via Twitter on Thursday. As Backchannel recently reported, 2017 will be an important year for autonomous driving. In addition to Tesla, car companies including Ford and BMW have plans to advance their self-driving systems next year. However, even with all this autonomous driving going on the technology is not expected to go mainstream before 2020 or 2021.